Braces just aren’t what they used to be. Now, you can have braces that are barely noticeable by you or anyone looking at you. Sound too good to be true? Well, Invisalign clear braces offer all the advantages of metal braces without the appearance and discomfort of metal in your mouth. With Invisalign, Dr. Joe Isaacson in Oklahoma City, OK, can give you the straight teeth and dazzling smile you’ve always wanted. Invisalign is an orthodontic treatment system that uses clear PBA-free plastic aligners to gently move your teeth into their proper position. 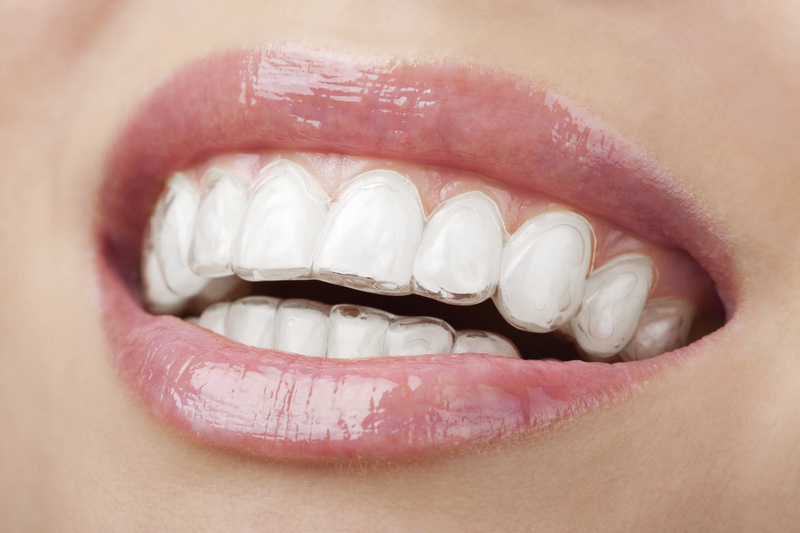 These aligners are custom fabricated to Dr. Isaacson’s specifications. Initially, you and the doctor will meet so he can examine your mouth for general oral health and to discuss your smile goals. Then, with the help of x-rays, pictures and impressions, Dr. Isaacson creates a treatment plan that shows you how your teeth will move and shows the Invisalign lab how to produce each set of your custom made Invisalign aligners. When the Invisalign aligners arrive, you’ll wear each set of upper and lower braces for about two weeks. Ideally, you should wear them all day every day, removing them only to eat, brush and floss, or for a special occasion. As you advance through the sets of aligners, you will see your teeth gradually move according to plan. Of course, Dr. Isaacson will need to see you for regular check-ups in order to monitor your progress. For most patients, the entire treatment takes about one year. At the end of your treatment with Invisalign, you’ll really have something to make you smile! If you would like to consider Invisalign clear braces to straighten your teeth and give you the smile you’ve always wanted, then call the office of Dr. Joe Isaacson and schedule a consultation. Dr. Isaacson and his team serve patients in Oklahoma City, OK, and Mustang, Piedmont, Yukon and Edmond.